Jose Nicolas Lopez, affectionately known to his family as Dumbo or Mickey Mouse because of his big ears, departed this earthly life January 23, 2019. Funeral services will be held at 10:00am Monday at The Christian Center with Pastor James Miller officiating. Interment will follow at Resthaven Memorial Gardens. Services are under the direction of Don Grantham Funeral Home. Born September 29, 1951 in Lima, Peru to Juan and Renee Lopez, he was destined to be a chef. In Peru and later in the states Nico proudly raised six sons and one beautiful daughter and had his own special nickname for each. Nico met his beloved "molo", Liliana, in 1989 and after many years together finally decided to tie the the knot on April 6, 1998. They passed thirty memorable years together. In marrying Liliana he selflessly became the dad he didn't have to be and raised yet another son. 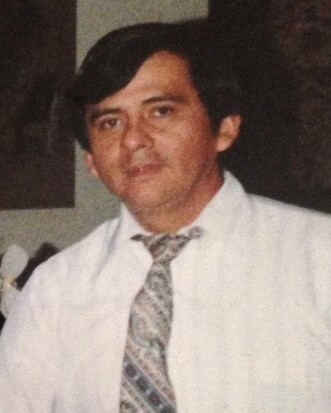 Don Nico was the founder and owner of the Don Jose Mexican Restaurant chain. The restaurant was his pride and joy and he gave it all of his energy. When he wasn't working, he was dreaming up new recipes and trying them out much to the delight of his family who were always willing "testers". His many grandchildren loved their Papa's banana pancakes and other sweet baked goods. Gone too soon, he will be sorely missed from our lives. Nico is survived by his wife, Liliana Lopez; children: Andy Lopez, Pilar Lopez, Piero Lopez (Jeannie), Jose Lopez Jr. (Veronica), Antonio Lopez (Savannah), Renzo Lopez (Milagros), John Lopez (Laura) and Steve Lopez; a brother, Walter Lopez; two sisters, Elvira Lopez and Lourdes Lopez; 22 grandchildren; and 1 great-grandchild; and many other family members.